President Trump proclaimed Wednesday, December 5, a National Day of Mourning for former President George H.W. Bush, who died on Friday at the age of 94. All executive offices and agencies of the federal government will close to “pay homage to the memory” of the 41st president. The former president will be given a state funeral Wednesday at the National Cathedral in Washington, D.C. After the ceremony, his body will be moved to Texas, where he will be buried at his presidential library. HOUSTON/WASHINGTON (Reuters) – Tributes to former U.S. President George H.W. Bush, who died at the age of 94, poured in from around the world on Saturday as global leaders honored him. Speaking in Buenos Aires at the G20 summit, U.S. President Donald Trump [said of Bush]: “He was a very fine man. I met him on numerous occasions. He was just a high-quality man who truly loved his family. He was a terrific guy and he’ll be missed. He led a full life, and a very exemplary life, too.” Trump said he spoke on Saturday to George W. Bush and Jeb Bush about their father’s death. His second son, Jeb, undertook his own campaign for the presidency in 2015 before dropping out [due to scant voter support]. Bush’s father, Prescott Bush, was a U.S. senator from Connecticut. President Trump signed an order closing the federal government on Wednesday in a show of respect for Bush. The New York Stock Exchange and Nasdaq will also be closed on Wednesday in his honor. Bush’s body arrived at the U.S. Capitol on Monday and was to lie in state through Wednesday morning. The public was able to line up to view Bush’s casket continuously from Monday evening until Wednesday morning. Trump ordered the presidential plane (Air Force One) to be flown to Houston to bring Bush’s body to Washington. 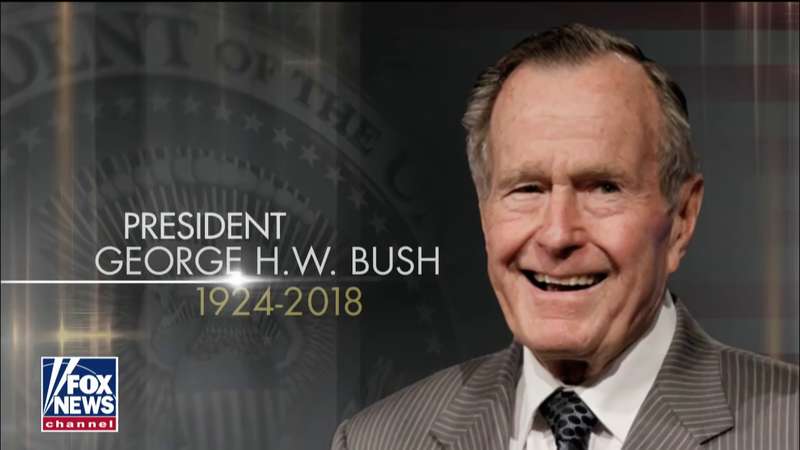 … Bush’s body will be returned to Houston on Wednesday and a service will be held on Thursday at St. Martin’s Episcopal Church there. Bush did not endorse fellow Republican Trump, the eventual winner of the 2016 presidential election who [criticized “low energy”] Jeb Bush during his campaign. He did not publicly say whom he voted for in the election, but a source told CNN he voted for Trump’s Democratic opponent, Hillary Clinton. Reporting by Gary McWilliams in Houston; Bill Trott, David Morgan, David Shepardson and Humeyra Pamuk in Washington; Steve Gorman in Los Angeles; Roberta Rampton in Buenos Aires; Mark Heinrich in London; Andrew Osborn in Moscow; and Marcin Goclowski in Warsaw; Editing by Alistair Bell, Jonathan Oatis and Will Dunham. 1. What three things was George H.W. Bush known for as president, according to the Reuters reporters? 2. List all government positions Bush held in his lifetime. 3. 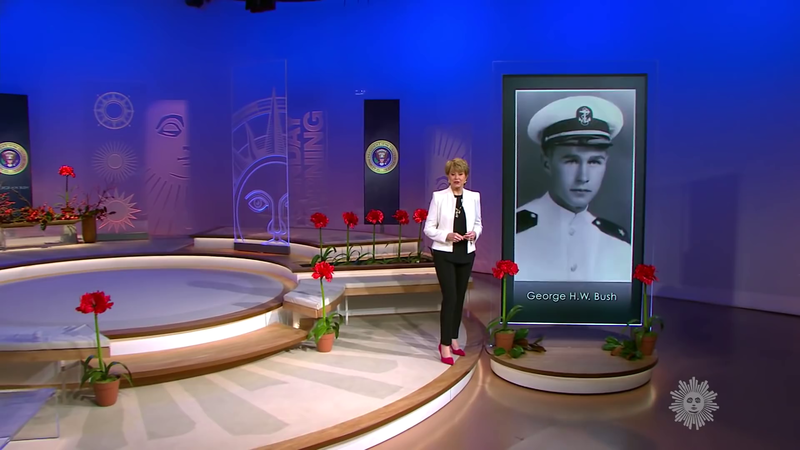 What actions will be/have been taken to honor President Bush? 4. a) What does it mean to ‘lie in state’? b) What is the purpose of a national day of mourning? Who usually receives that honor? c) What is a state funeral? In 1992, many Republicans voted for third party Independent candidate Ross Perot, who won 19% of the popular vote. Democrat Bill Clinton won 43% and George Bush 37.4%. It is believed that Bush had been elected to a first term because he was Ronald Reagan’s VP and on his promise to not raise taxes and that he lost a second term because he broke his promise. This is what the average Republican voter would remember about him more than that he played a part in ending the Cold War. In fact, Ronald Reagan’s two terms in office played a major role helping end the Cold War. 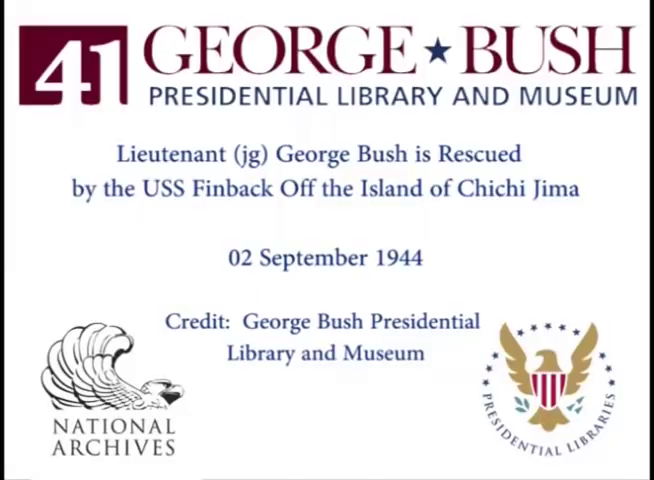 Challenge: Read/watch several news reports on President George H.W. Bush. a) What aspects of his life and his presidency are highlighted? b) When a person dies, the good things he/she did should be remembered. George H.W. Bush was a patriot, public servant and a loving family man. It is also important to report accurately on a politician’s role in office, especially the president. Ask several Republican voters who voted in the 1988 and 1992 elections what they remember most about George H.W. Bush’s presidency. -How many answer the Gulf War and “Read my lips, no new taxes”? -How many say the part he played in ending Cold War? -How many knew he had been the youngest fighter pilot in WWII, and had after many missions been shot down in the sea and then saved by an American sub? 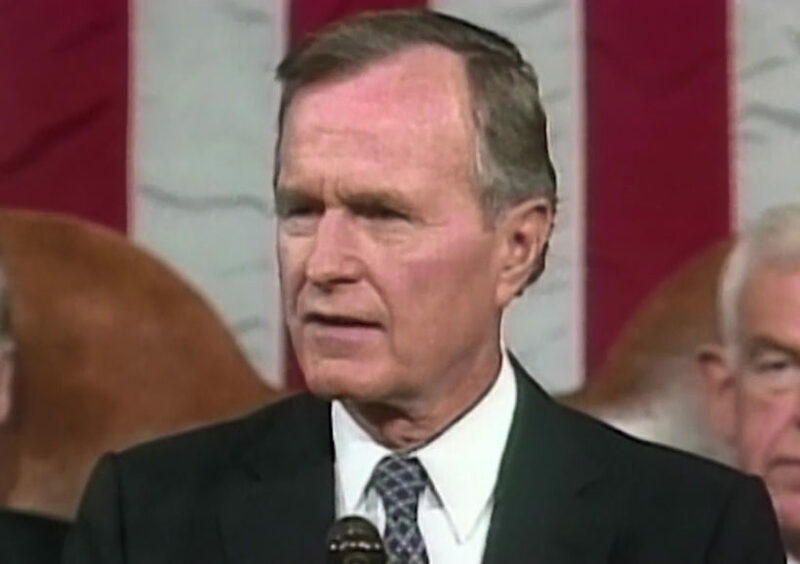 George H. W. Bush had first sought the presidency in 1980, campaigning on experience gathered as a U.S. congressman from Texas, envoy to China, director of the Central Intelligence Agency, United Nations ambassador and chairman of the Republican National Committee. “He was the only one of the world leaders at the time (who) did so much to overcome communism and help Poland,” said Lech Walesa, the former head of Poland’s Solidarity trade union who led protests and strikes that shook communist rule in the 1980s. “He will remain in hearts and memory forever,” Walesa said on Twitter. After returning from the war, he married Barbara Pierce, with whom he would have six children. After he graduated from Yale University [in 2 1/2 years,] the Bushes headed to the oil fields of West Texas. “Read my lips: no new taxes” is a phrase spoken by then-American presidential candidate George H. W. Bush at the 1988 Republican National Convention as he accepted the nomination on August 18. The pledge not to tax the American people further had been a consistent part of Bush’s 1988 election platform, and its prominent inclusion in his speech cemented it in the public consciousness. The impact of the election promise was considerable, and many supporters of Bush believe it helped Bush win the 1988 presidential election. The line later hurt Bush politically. Although he did oppose the creation of new taxes as president, he made a deal with the Democratic-controlled Congress: he would agree to raise taxes and Congress would cut government spending. Bush agreed to the compromise and taxes were raised. Unfortunately, the Democrat-led Congress then did not cut spending.